Many dedicated and passionate rhino lovers are vehemently against the legalisation of a rhino-horn trade. These arguments have a natural resonance with many of us, but how valid are they? This article will examine the available evidence and with common-sense reasoning answer the following question: will a continued trade ban increase the probability of survival in the wild of the two South African rhino species as well as diminish the poaching of rhinos in southern Africa? Although every argument and counter-argument can (and should) be pursued in far more depth and at more length, this article will, of necessity, deal with the debate at a high level and is therefore not exhaustive. 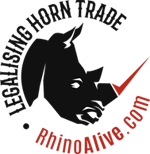 ignite demand by removing the stigma effect of an illegal substance (an increase in poaching of elephants has been attributed to the recent one-off sale of ivory. However, demand reduction campaigns have been successful for legal substances such as tobacco and shark fins. 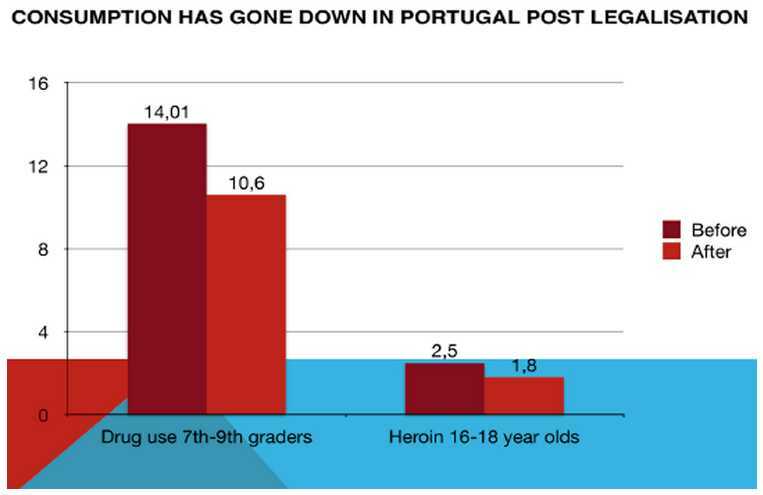 A large decrease in usage can be caused by unbanning such as in Portugal’s legalisation of drugs in 2001. Demand as expressed by the increase in poaching in southern Africa has grown exponentially under a trade ban. Although the precautionary principle is wise under most circumstances, it doesn’t hold in the current circumstances, which are so dire that they could lead to catastrophe. Continuing with the current, patently failing prohibition regime is foolish and reckless, and will lead to the end of the wild rhino population in southern Africa. The rise in elephant poaching could just as easily be ascribed to the simultaneous announcement of a minimum seven-year moratorium of legal sales. Therefore, the arguments for the precautionary principle don’t hold up under scrutiny. • a legal market will ease the laundering of illegal horn and lead to increased poaching. South Africa has demonstrated its ability to establish and run competent, non-corrupt and world-class legal markets for our products. The South African Sugar Association, which was established by statute and run by competent and professional managers appointed by the private sector, is one of many. Corruption flourishes where a product that has a strong demand is prohibited and withers when the ban is lifted, as happened after the repeal of the 18th Amendment (prohibition of alcohol) in the United States. Scientific methodology suggests that experimentation is the best method for removing uncertainty and a controlled legal trade with a regular, reliable supply would provide the opportunity to better determine price and underlying demand. Should the market prove to be unsustainably large, at least some of the profits will have flowed into the hands of rhino owners and allowed range states to convert their rhino horn stockpiles from a liability into a liquid asset. 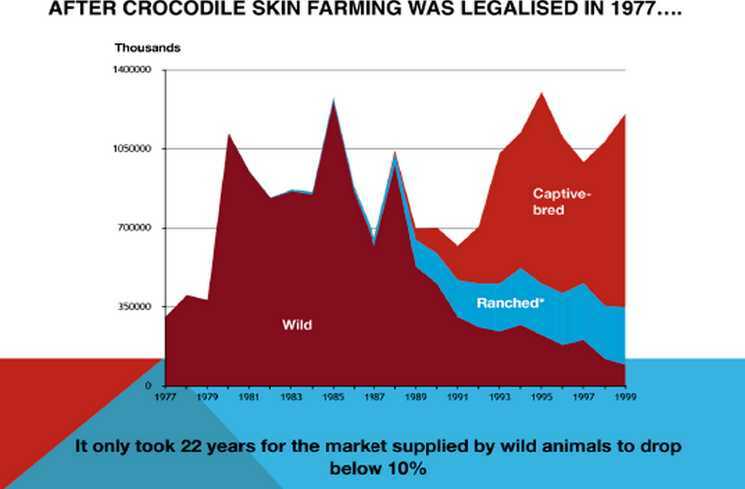 Many examples show that market participants value convenience and reliability and have switched to legal supply, as is demonstrated by what happened when the trade in crocodile skins was legalised. There is no reason why a legal market should take inordinately long to set up – South Africa already has the expertise in this area. Many ancillary services, such as the precious cargo handling at OR Tambo International Airport in Johannesburg, already exist and are ‘best of breed’. While it is possible that laundering will increase, this is unlikely to lead to a sustained increase in demand for poached horn as South Africa already has a sophisticated horntracking system based on DNA, isotopes and chip monitoring in place and/or ready to go. In addition, illegal horns already in the pipeline and in speculators’ hoards will tend to be sold first. Finally, if the trade is correctly structured, buyers of horn will ‘police’ illegal sellers and provide more funds for authorities to counter laundering. • there is a possibility that a proposal for an amendment to CITES would fail and embarrass South Africa as the hosts of CoP17. The world has been able to come to terms with selling products that are proven to be harmful, such as cigarettes. So why should it be an insurmountable obstacle to sell a product that is unlikely to be harmful and could be beneficial, even if it is only via the placebo effect? South Africa has a proud history of pursuing what is effective and not necessarily popular in protecting and growing our wildlife. It would be a sad day if fear of failure or ridicule stopped South Africa from doing what the country believes is right. Even if it were true that all consumers know the source of horn and are prepared to pay for it (an unlikely scenario), there are a large number of whole, wild horns in stockpiles and more are added every year from natural mortalities of un-dehorned rhino. A legal trade would demonstrate such a preference and its concomitant price premium. Even if the requirement is only for whole, ‘wild’ horns, the sale of the stockpile horns should, at least, prevent or delay the poaching of a large number of rhino. • Legalising horn trade is wrong as it can lead to an increase in rhino poaching and dehorning. • Ranching rhinos is inhumane. • A legalised trade will benefit already wealthy, greedy rhino owners. This assumes that not only is rhino ranching inherently cruel, but also implies that it is crueller than the slaughter and butchery of the animals. The majority of rhinos are ‘ranched’ in that they are enclosed within boundaries, even if that is in national parks. The most intensive, large-scale commercial operation has a stocking rate of one rhino per six hectares, which does not seem to distress the animals at all. The operation has an extremely good breeding history, suggesting contented animals. South Africa has a draconian system of controls and permits in place for private rhino owners, so any abuses could be controlled via the enforcement of existing laws and regulations. South Africa is a free-market economy; why, then, should making a profit be a reason not to do the right thing? • it adopts the method of looking for a real or (often) apparent flaw in the pro-trade argument and then concludes that the whole argument is flawed, no matter how immaterial the flaw might be. Although the anti-trade arguments have a strong intuitive resonance with many rhino lovers, they do not stand up to logical assessment and should be vigorously questioned.